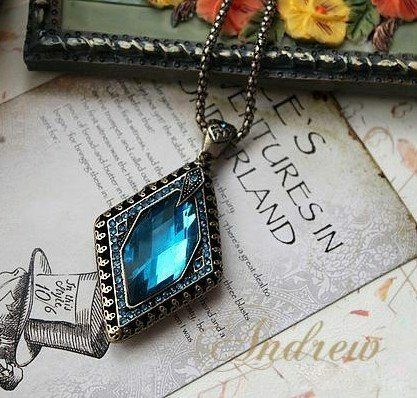 Sapphire Rhombus Necklace Only $2.99 + FREE Shipping! You are here: Home / Great Deals / Amazon Deals / Sapphire Rhombus Necklace Only $2.99 + FREE Shipping! I LOVE this necklace! This fabulous Sapphire Rhombus Necklace is priced at just $3.99 with FREE shipping! This is expected to be delivered between Jan. 14-30. The color of the necklace is SO pretty, and I’m loving all the crystals around the pendant. Gorgeous!